Vili's Catering platters will delight your guests and leave them feeling happily satisfied. We have been catering for Adelaide businesses, clubs and other associations for many years and our clients return for more. We use fresh vegetables, high quality ingredients and real beef, with no added preservatives. That's because we know there is no substitute for freshness. We have scrumptious pastry platters, sandwiches, wraps, baguettes and antipasto platters. Finish these off with a platter of fresh fruit or delectable Vili’s sweets. Easy finger food that is delicious. Vili’s Catering has a great range of platters perfect for any size function. Large or small, from one platter to hundreds. We cater for meat lovers, vegetarians and vegans. Contact us to order or purchase online. Pick up only at Café de Vili's Mile End, Adelaide. Orders must be placed before 3pm for next day pickup. Weekend and public holiday pickup orders must be ordered before 3pm on Friday. Please select pick up time and date before checking out. Your order will be not be ready if these requests are not met. Thank you for choosing Café De Vili's Catering! 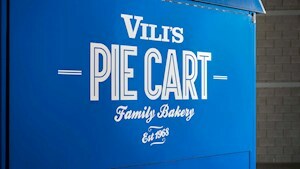 Pastries - Enjoy your favourite Vili's Pastries and choose from one of 5 different pastry platters. For meat lovers, vegans and vegetarians, there is something to please everyone! Our pastries are sold in boxes of either 24 or 48 pieces, hot or cold. Platters are purchased separately. 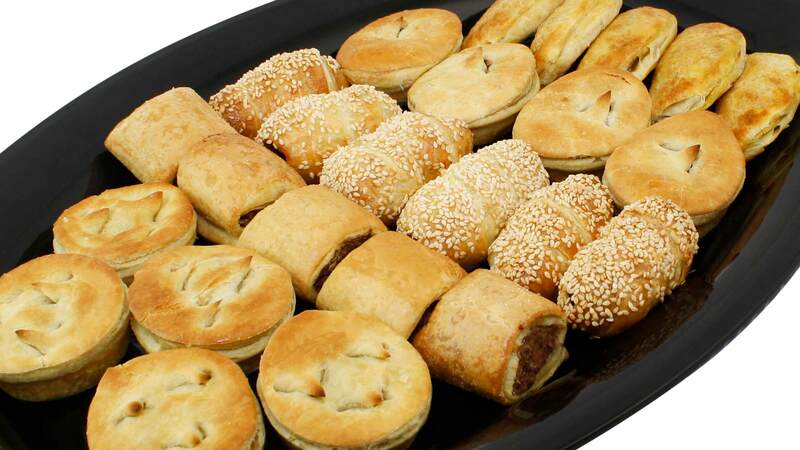 24 pieces - Beef Pies, Sausage Rolls, Pasties. (Sold in boxes, no platters). 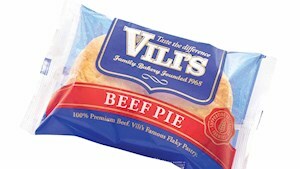 Beef Pies, Chicken Pies, Pasties, Sausage Rolls & Cheese Vili Dogs. (Sold in boxes, no platters). 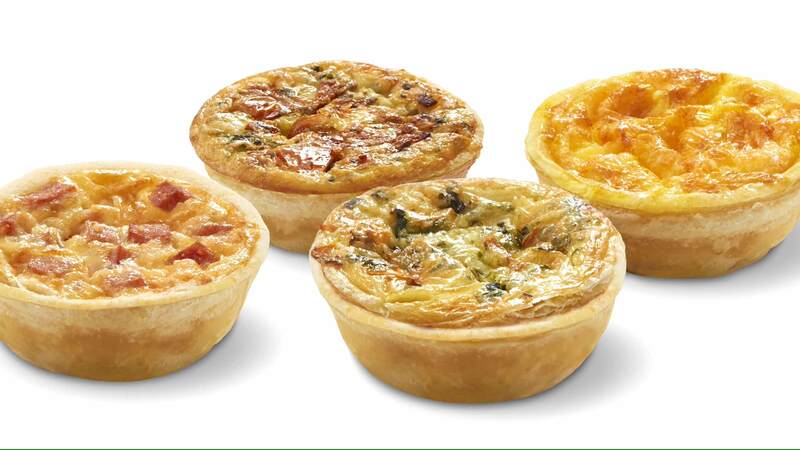 Beef Pies, Chicken Pies, Vegetarian Pasties (V), Quiche Florentine (V), Spinach and Ricotta Roll (V), V = Vegetarian. (Sold in boxes, no platters). 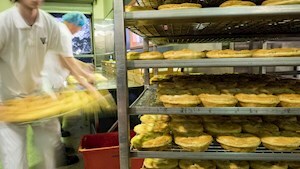 Beef Pies, Chicken Pies, Steak & Mushroom Pies, Goulash Pies, Curry Pies, Cornish Pasties. (Sold in boxes, no platters). Dahl Vegan Pies (V), Quiche Florentines (V), Spinach and Ricotta Rolls (V), Vegetarian Pies (V), Vegetarian Pasties (V), V = Vegetarian (Sold in boxes, no platters). 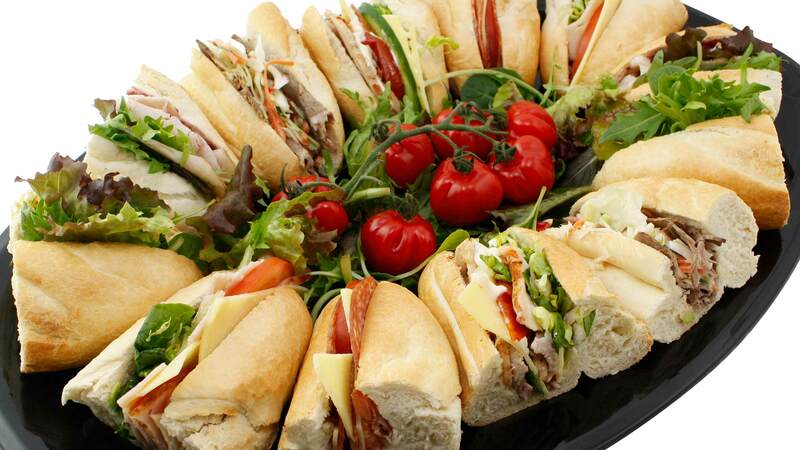 Sandwich Platters - An assortment of fresh sandwiches to suit many palates and tastes. Perfect for birthday parties and day time corporate events. Available in 20 or 40 quarter portions. Turkey/Cranberry Sauce/Gourmet Lettuce, Roast Beef/Tomato/Cream Cheese, Chicken/Lettuce/Mayo, Ham/Cheese/Tomato, Egg/Lettuce/Mayo. Salami/Cheese/Tomato, Beef/Tomato/Cucumber/Gourmet Lettuce, Curried Egg, Chicken Schnitzel/Avocado/Gourmet Lettuce, Roast Beef/Horseradish/Rocket. Chicken/Lettuce/Mayo, Pork Schnitzel/Coleslaw, Tuna/Lettuce/Mayo, Ham/Tomato/Cucumber/Lettuce, Beef/Swiss Cheese/Mustard Pickles. Avocado/Carrot/Capsicum/Rocket, Cheese/Tomato/Cucumber/Gourmet Lettuce, Roast Vegetables/Baby Spinach, Swiss Cheese/Cucumber/Coleslaw, Eggplant/Semi-Dried Tomato/Cream Cheese. 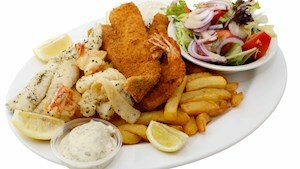 Gourmet Wrap Platters - For a more gourmet look and taste, try one of our Gourmet Wrap Platters, made fresh at Vili's. Chicken/Mayo/Parmesan Cheese/Bacon/Cos Lettuce, Turkey/Cranberry Sauce/Gourmet Lettuce, Ham/Tomato/Cucumber/Gourmet Lettuce. Tandoori Chicken/Cucumber/Mayo/Cos Lettuce, Chicken/Mayo/Avocado/Gourmet Lettuce, Turkey/Cranberry Sauce/Gourmet Lettuce. Baguette Platters - If you like a bit of crunch, choose baguettes with some favourite Vili's fillings! Turkey/Lettuce/Cranberry Sauce, Roast Chicken/Swiss Cheese/Semi-Dried Tomato/Cucumber/Cos Lettuce/Mayo, Salami/Cheese/Tomato, Ham/Dijon Mustard/Cheese/Tomato/Cos Lettuce. Sweets Platters - We have two varieties of sweets platters to satisfy that sweet tooth. A combination of famous Vili's sweets! Fruit tarts, Custard & Cream Puffs, Vanilla slices, Turnovers, Hazelnut Rolls and Chocolate Éclairs. 3 of each. Cocktail donuts (Chocolate, Cinnamon, Sprinkled) & Cocktail Danishes (Apricot, Apple, Blueberry). 3 of each. Antipasto Platter - Enjoy a light nibble and add some variety to your function with our antipasto platters. Available in small or large for 5 or 10 people. Includes Ham, Salami, Turkey, Beef, Brie Cheese, Camembert Cheese, Tasty Cheese Cubes, Antipasto Mix & Water Crackers. Image shows large platter. 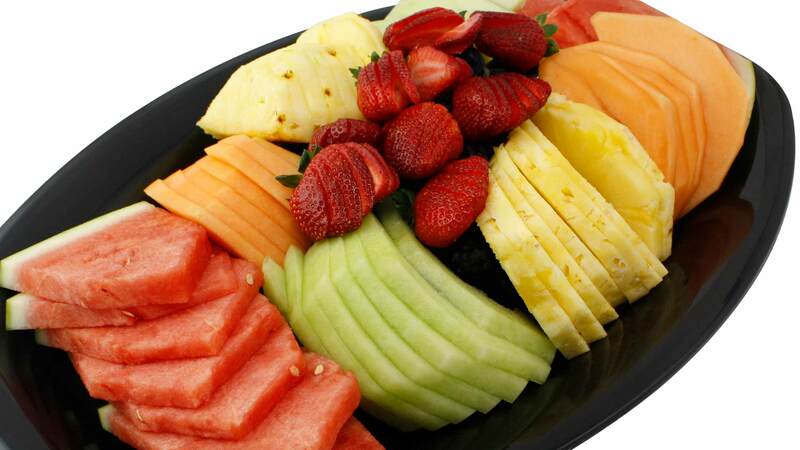 Fruit Platter - Freshen up your guests’ palate with a platter of delicious fruit. Available as a small or large platter for 5 or 10 people. 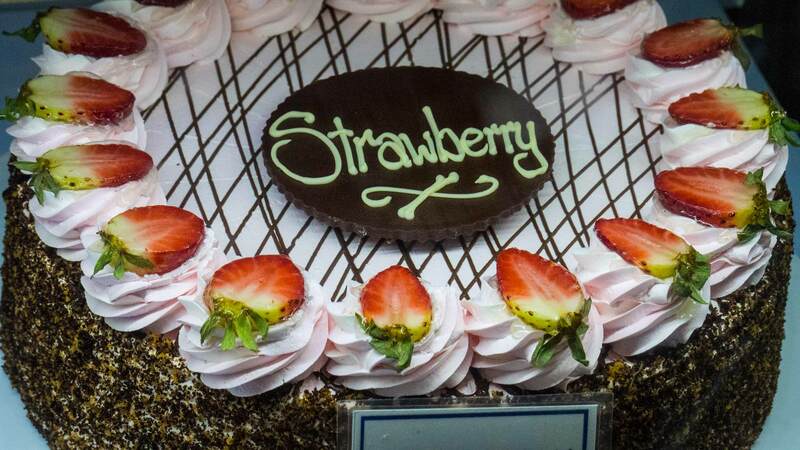 Includes Watermelon, Honeydew Melon, Rock-melon, Pineapple, Red Grapes, Strawberries. Please choose carefully. We do not normally give refunds if you simply change your mind or make a wrong decision. We do however offer changes to the items within the order if changes are applied before the order is packed and/or produced. You can choose between a refund, exchange or credit where goods are faulty, have been wrongly described, are different to the product purchased on the website or don’t perform as advertised. When purchasing from Cafe De Vili's, card details are transmitted through a secure server using eWAY. Card data is not hosted by Cafe De Vili's after processing.